4 Weeks After Total Knee Replacement and Look at Her Go! I had a bilateral hip replacement on December 14. From the first time I met with Dr. Hochfelder, I was put at ease. The doctor really listened to me and my concerns and gave me thoughtful professional feedback and advice. He even suggested I get other opinions before I made a decision. This guy is a surgical rockstar, but the clincher for me was the way he takes time to listen and answer, never rushed–as well as his affability, down to earth demeanor and great sense of humor. Had knee replacement was able walk without a cane in three weeks. Dr Hochfelder explained everything to me about the surgery what to expect after and how much better I would feel with knee replacement. I highly recommend him, he very compassionate and has a great sense of humor. An experience where I felt very comfortable and Doctor Hochfelder helped me feel at ease. I was extremely worried about my knees prior to meeting Dr. Hochfelder. He was and continues to be very reassuring and thorough in every step of the process, pre- and post- surgery, included. My recovery has been relatively swift and my anxieties alleviated. One could not ask for a better doctor. Dr. Hochfelder was very attentive both pre andpost surgury. Pain levels were far lower than I had expected and the healing process moved far faster than anticipated. At six weeks I had no trouble climbing three flights of stairs or walking pain free or nearly so for as far as l wished. could not have wished for better results. I’ve been in pain for 60 years after breaking my hip as a 15 year old and as soon as I came out of that operating room I was out of pain – for the first time in 60 years. I can move my leg now like I never did before. Dr. Hochfelder walked me through the entire process and his staff explained everything before the operation. You can call anytime and they get back to you in a very timly matter. He even called me back when he was off and at home. I was walking without a walker in three days and no cane in a weeks time. Doctor Hochfelder is a caring Doctor. My experience was much better than I anticipated . I was able to walk without a cane after three weeks. I would highly recommend Dr. Hochfelder and his office staff. The surgery was over before I knew what happened, and then I was up and walking the same day. No pain. I saw Dr. Hochfelder first for left knee pain and subsequently for a right hip replacement (performed in September 2016). Dr. Hochfelder explained in great detail my options for improvement and showed me what was occurring via x-rays taken in the office. 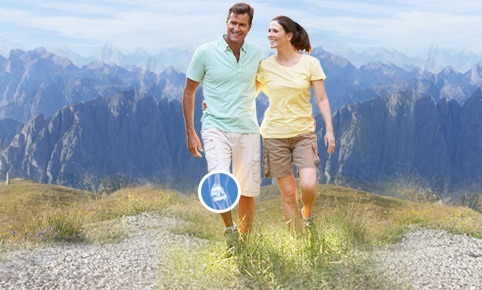 Dr. Hochfelder prepared me well for hip replacement surgery and I had a great outcome. I was walking one mile five days after surgery without pain (the anterior method procedure was performed). Six months out I am fully back in the gym doing my usual cardio work each week. 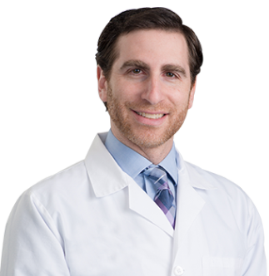 Dr. Hochfelder is very personable and explains things very well to those without a strong medical background. He is very good about follow-up with patients. Dr. Hochfelder was absolutely wonderful. Everything turned out exactly as he had predicted. He left no question unanswered and gave additional advice that I didn’t even think to ask about. In general I am extremely pleased with him and, his staff and the results. Exceptional concern about the patient, from the first introduction to post surgery and follow up. Willingness to spend as much time as necessary for the patient to understand the surgery and recovery process. From the very first appointment with Dr. Hochfelder and this office I have always felt as if my needs were of primary importance to any of the staff and the Doctor. Any questions were handled in a respectful manner and now after surgery the followup has been the same. You can count on these folks to do an excellent job for anyone. If you had told me 1 year ago that I would have 2 hip replacements and would enjoy every minute of it, I would have had you committed. However, that is exactly what happened due to Dr. Hochfelder. From his phone call the night before each surgery, the explanation of all that was about to happen the morning of the surgery, to getting out of bed right after surgery and walking for the first time in many months without pain, fantastic. In addition to the compassionate and professional care given by him, the nurses and staff on his surgical wing are second to none. It almost felt like a vacation. I take that back, it was a vacation. No pain, meals delivered when you were ready, not when someone decided it was time for everybody to eat, and no matter what you needed, it was quickly and efficiently taken care of. It you need a hip, or 2, look no further, Dr. Hochfelder is the one to call. Dr. Jason Hochfelder performed hip replacement on me in June and then again in December 2016. When I first met Dr. Hochfelder, I was feeling very anxious as this would be my first ever surgery. At the culmination of this consultation, I felt assured and consequently scheduled the initial operation. 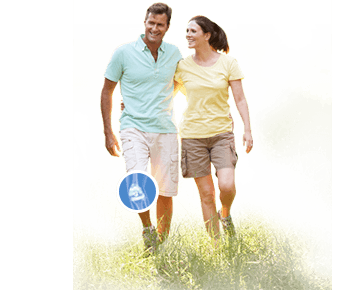 Three months later, it was evident I needed a second hip replacement and without hesitation, arrangements were made with Dr. H. This physician presents as an extremely knowledgeable and conscientious professional. In the office, hospital and post surgery his style of communicating was clear and with compassion. He was very accessible and encouraged me to contact him at any time. Consequently, I did not hesitate when I felt a need to ask any question. He promptly returned calls to myself or the visiting nurse. I thank God and Dr. H. that both of my surgeries were successful. Prior to the first surgery I had been in pain for a year. Now, I am walking without pain, a cane or a limp. It is great to have my life back. I am very grateful that I was directed to Dr. Jason Hochfelder. I am an active 65-year old woman who over the years gave my knees a workout to the point that over the last few years the sports that I once enjoyed, like hiking, skiing and tennis were just happy memories. I consulted with Dr. Hochfelder last year and he told me I was a candidate for a total knee replacement. Making a life decision such as major surgery is of course difficult, but Dr. Hochfelder carefully explained the procedure, allayed my concerns, and was there to answer all questions every step of the way. 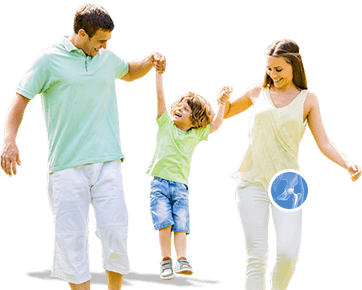 His staff at Hudson Valley Bone and Joint was also particularly helpful in navigating the insurance and paperwork bureaucracy and I have to say that the entire process was streamlined and well, not as traumatic and difficult as I had imagined. As far as Dr. Hochfelder’s skills as a surgeon, I can attest to the fact that as a specialist in hip and knee replacement surgery, I knew I was in good hands and the results of his work speak for themselves. The TKR was done with an 8 inch incision, the staff at the hospital have you up and tentatively walking on day 2, Dr. Hochfelder stopped in to see how I was doing the next day, and I returned home after the surgery on day 3. I have to say that I followed all of the recommendations for after-care such as the physical therapy and the at at-home regime, and after 5 weeks, I was able give up my cane, I started to drive and I returned to work. It’s now been 8 months since my TKR, I am completely satisfied with the results of Dr. Hochfelder’s work and am enjoying hiking and even tennis. Regrets? I wish I had done both knees at the same time. I will be contacting Dr. Hochfelder for my second TKR this year– sooner than later. Thank you Dr. Hochfelder. I saw Dr. Hochfelder this morning for a post op consultation 6 weeks after my hip replacement. I have repeatedly been amazed at progress I have made since the date of surgery. I was given full information about my surgical procedure before surgery, so I had some understanding of what was happening. I was in severe pain for a while before surgery…hard to believe it is all gone. I am sill in awe because I had somehow gotten used to being in pain throughout the day and night. Dr. Hochfelder is patient and kind, besides being extremely skillful. The incision is smaller then I anticipated, and healed easily. I surprise myself again and again when I reflect on this experience. How could it work so well so quickly, and how could I return to normal activity so easily. I can only thank my surgeon, thanks for the calm he instilled before surgery and the patient and clear answers to any question I had before and after surgery. I would highly recommend Dr. Hochfelder to anyone who needs hip or knee surgery as I thank him for his respectful patience and kind care at all times. I had a total knee replacement at the end of August, 2016, the inevitable time had finally arrived and Dr. Hochfelder had prepared me. After 34 years and over 63,00 miles including over 1,300 races with 2 previous meniscus surgeries and 3 sessions of ortho-visc injections he assured me it was the correct decision. My leg was steadily bowing out, I had lost stability, and the discomfort had peaked. Dr. Hochfelder had advised that it would be me calling when I was ready. We had met several times at HVBJ and I left each time very impressed with his approach. His confidence and expertise were so assuring. I had avoided the only solution for too long and was now jeopardizing damage to my other joints. We decided to proceed at the end of the summer. He assured me he would straighten out my now-deformed leg when replacing the knee. I was finally scheduled and felt completely sure I was in the best care anyone could want. It’s been almost 6 months and my recovery has been amazing. It’s important to do the necessary physical therapy and follow through with exercises as recommended. I was swinging my golf clubs on Dec.1 and felt great! I am so pleased with Dr. Hochfelder’s professionalism, manner, and of course his amazing skill. He did straighten out my bowed leg, the knee bends to 126 degree flexion, I walk normally (no indication of a TKR) and I am playing with my grandkids. Thank you Dr. Hochfelder. For too long I suffered with knee pain. I was not able to sleep because my knees hurt too much. I was losing my balance and falling a lot. I had to hold on while walking up and down stairs…very slowly. I was just miserable. Finally, I decided to do something about it. All of my friends and relatives told me I had to go to NYC for the surgery. I did call a surgeon affiliated with Hospital for Special Surgery but I would have had to wait too long for my first appointment. I wanted to stay local. Then a friend told me about Dr. J. Robert Seebacher from Hudson Valley Bone & Joint Surgeons, LLP. At my very first visit he told me that my knees were deteriorating but I wanted to avoid surgery so we tried shots for a while. When that stopped working he introduced me to his colleague Dr. Jason Hochfelder. He told me I would be in very good hands. Boy was he right! I have had so many surgeries in my lifetime and, needless to say, I was not thrilled with having yet another. At our first visit I was nervous. Within a few minutes, Dr. Hochfelder put me at ease. He has a gentle but confident approach. He was thorough, compassionate, and kind. We decided that I would have both knees (yes both knees) done at the same time. When the day for my bilateral knee replacement surgery came, I was calm and ready thanks to Dr. Hochfelder. I’m 68 years old and in our day, we would say, “He has a good bedside manner.” Today, I would have to say, “He has a great bedside manner.” And…I no longer have any pain in my knees. Dr. Seebacher was right…I was in good hands. On the 16th of January this year I was preparing myself for having my first ever operation the following day. I am 79 so I have been lucky. I was going to have a knee replacement. Sure I was starting to feel nervous as the time was was getting so close to the big event. Toward early evening I got a phone call and I was very happily surprised when it was Dr. Hochfelder, my surgeon. He wanted to know how I was doing and asked me if I had any questions. It was great hearing his calm voice and it made me feel much better. I really appreciated his call and it assured me that the surgery would go well and that I was in very good hands. And it did. About a week or so before the surgery I had a meeting with Dr. Hochfelder in his office and he gave me a very complete talk about what to expect from the surgery, both good and bad, and informed me about what to expect from the healing and how to manage it. It was very helpful to be equipped with all that knowledge about what I was about to experience. I was one of the lucky ones because I did not have any pain after the surgery and I was healing well. Dr. Hochfelder stopped by in my hospital room at least once and asked how I was doing. After two nights in the hospital was allowed to go home. I now have a perfect, beautifully healed incision on my knee which speaks of Dr. Hochfelder’s skill as a surgeon. And somewhere in there I have a brand new knee. It feels great. This week I had my second follow-up appointment with Dr. Hochfelder and I was thrilled when I asked him a few questions about what I was allowed to do with my knee and his answer was: “You can do whatever you want to do.” A happy end to a huge event for me. I thank Dr. Hochfelder for having made it such a positive experience in every way. 6 months ago I decided to get back to my formerly active lifestyle. I was having severe hip pain causing limited mobility- — even using a cane and limping around. Research led me to Dr. Jas one Hochfelder. He performed an anterior hip replacement. A couple of days in the hospital followed by some physical therapy at home, and now I’m enjoying my 80th year pain free and with no pain, no cane, and no restrictions!! Thank you, Dr. Hochfelder!! 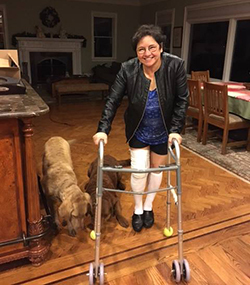 Had total knee replacement in July 2016 after one week I didn’t need to use a walker and after two weeks didn’t need a cane. I was driving after three weeks and back to work after six. I couldn’t believe how fast I recovered from this surgery and how good it was to move pain free after three years of suffering. I would totally go back to Dr. Hochfelder if I need to replace my other knee. He is a fantastic surgeon and will answer any questions you have and he also explains what to expect after the surgery. Not only is he a great surgeon he has nice personality. As a 63 -year old woman, my arthritis and deteriorating joints had become the controlling factor in my life. Although the change in my physical condition seemed to come upon me suddenly – only two years ago I traveled to Africa on safari – in truth the decline in my physical condition had been a steady one. Grinding and searing pain in my hips, chronic aches in my knees, pain down my legs, the inability to bend and chronic fatigue became part of my life. My effort to find relief began with my knees where the pain was continually intense. Knee braces, wraps, over the counter ointments, cortisone shots all proved useless. With MRI and x-rays in hand I visited the first orthopedic surgeon who summarily proclaimed,” You need hip replacement”, and turned me over to his assistant. Had my partial knee replacement by Dr. Hochfelder at Dobb’s Ferry hospital and recovered nicely. Thank you Dr. Hochfelder for being so patient with me, explaining the process in a manner that I would understand, being available to speak to me before and after the surgery and for easing my anxieties. Surgery was done in Mid-December and I am back at the gym even doing squats! The picture attached was taken the night of surgery when I entered my home and my pups thought the walker with the balls were a new game. My only regret was not having the surgery sooner. Knee replacement surgery was such a frightening prospect, but your gentle and encouraging bedside manner meant so much to me. Thank you for your outstanding professional skills! Dr. Jason Hochfelder is a miracle worker!!! His expertise as a surgeon, his easy bedside manner, that great personality ….. I was in the best hands. Thank you, thank you ….. the pain is gone!!! Dr. Hochfelder and the team at HVBJ are by far the best ortho team I have ever used, and I have used many over my career as a carpenter. I have had two knee replacements in the last five years, unfortunately, I couldn’t use the team for the first knee and I must say, this latest replacement has been a much better experience than the first. Less pain, less recovery time and over all getting around much better. I went back to work, limited of course, part time in 3 1/2 weeks, full time in 6 weeks, lost the cane at 7 weeks. Granted I am in an office now as I was for the last one, so I didn’t have to deal with being in the field anymore, but my recovery has been nearly cut in half this time. Phelps Hospital was great and my home nurse service rehab was %1000 times that being away at rehab. I am grateful to Dr. Jason and the entire team at HVBJ for my experience with this full knee replacement surgery and all the treatments in the years leading up to the surgery as well.